We are getting along quickly with our solution development for government contracting. To-Increase is taking a holistic approach to government contracting and will support all business activities, including compliance, within a coherent technology environment. We start by including compliance capabilities in Microsoft Dynamics AX. Add industry-specific capabilities for professional services, manufacturing, and construction in the public sector. We also provide best practice-based process optimization for sustained business advantages. And, we make the government contracting ERP infrastructure more versatile and efficient through apps. Stay tuned for our announcements over the next few months. Traditionally, many software providers targeting the government contracting market focus on regulatory compliance and compliant contract management. Of course, compliance is essential—without it, you won’t be able to exist in the government contracting market. We have already shared with you in a recent blog post by Bjorn Kuijt how To-Increase is bringing, for example, Cost Accounting Standards (CAS), Federal Acquisitions Regulation (FAR), Defense Contract Management Agency (DCMA), and Defense Contract Auditing Agency (DCAA) compliance to Microsoft Dynamics AX. But for us, that is the beginning, not the end of what we have in store for government contracting companies. One issue we see in restricting government contracting software solutions to compliance alone is that this approach forces companies that perform a mix of commercial and government projects to run separate systems—an ERP system with compliance enablement for the government business and, for the commercial business, a second ERP system or other business management software. There are high costs and inefficiencies associated with operating on two technology platforms. What’s more, it can become very difficult to gain full visibility of the business, align activities with company strategy, and make the right planning decisions. When companies perform government contracting and also serve the private market, these challenges compound. And, for the many business that provide professional services and manufacture or assemble products, or run construction projects in the public and private sector, it gets more complicated yet. That’s why To-Increase is creating a complete government contracting infrastructure that enables companies to run all their processes and activities, including compliance efforts, government contracting, and commercial business, within a unified ERP environment that gives them full control and visibility of their operation. To Microsoft Dynamics AX as the foundation, we provide comprehensive compliance enablement. We add industry-specific capabilities to support government contracting companies that offer professional services, make products, and perform construction. We also design our government contracting technology to provide a high level of flexibility, so government contractors can manage different types of projects effectively, bid and run them with fixed-price or time-and-materials cost structures, and manage their resources for best results. Many business activities in government contracting are unique to the industry. To-Increase is working with a prominent government contracting consultancy to define best practices for such tasks as project and contract management, bidding and proposals, finance, subcontractor management, and more. Standardized government contracting processes will then be available in our business process management (BPM) tool, To-Increase RapidValue. Besides helping compliance, the BPM resource will help companies achieve successful, fast ERP implementations; align their strategy, processes, and technologies; and continue to make their activities more productive. We are extending the government contracting ERP environment with apps that provide rich visibility and business management capabilities on users’ preferred devices, anytime and anywhere. 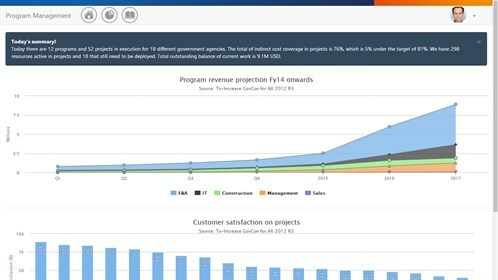 I’m very excited about the government contracting program management dashboard that will be launched first. 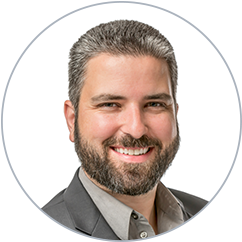 You can easily review and analyze your revenue projections from all of your revenue streams. Because of a social feedback mechanism, it will be easy to assess the satisfaction of government contracting customers per project. 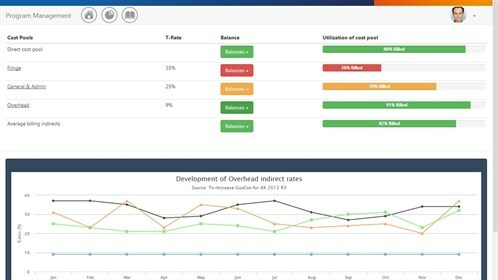 Another tab in the dashboard will show you how much you have invoiced to your various cost pools and how indirect rates within these cost pools are trending. For the current fiscal year, you can see the cost pool balances in actual and budgeted amounts. By means of a dropdown menu, you can initiate appropriate actions, such as increasing billing, lowering invoicing expectations, or review applicable rate ceilings. Finally, you can use this government contracting app to look at programs in-depth. 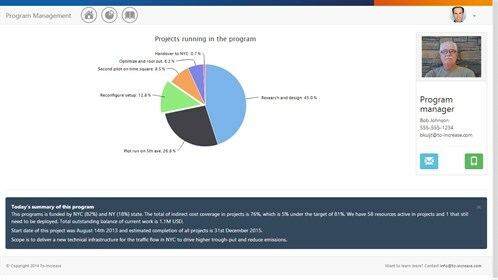 Review how much funding is allocated to projects within a program. Get a summary of resource utilization. Remind yourself of program fundamentals, such as outstanding balance of work, timeline, and scope. I look forward to sharing our first app for program management in government contracting with you. Check back for more news regarding our government contracting solutions, and please get in touch with any questions.